The rectangular Repetir Dining Table by Moe's Home Collection adds a modern, organic charm to your home. This beautifully constructed tabletop comes in multiple finishes to blend with your existing decor. The inset, brushed stainless steel legs lend an industrial vibe and sturdy support, while the MDF tabletop seats four comfortably. Perfectly sized for a condo or apartment, use this smart table for both dining and working on your laptop. 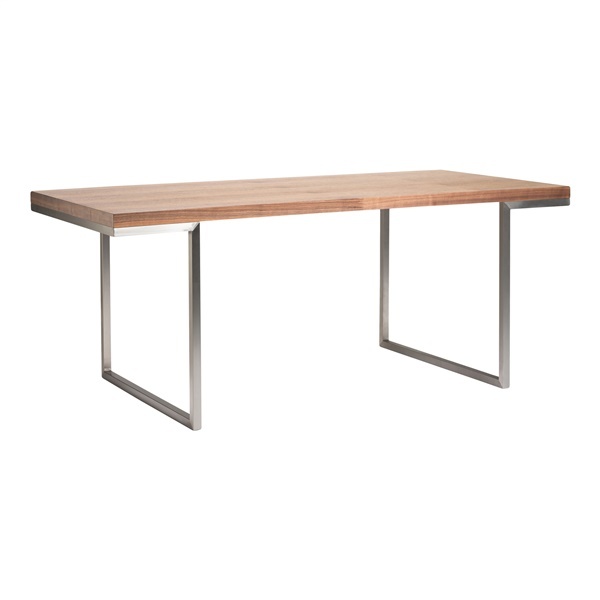 For a cohesive set, display Moe's Repetir Dining Table with the Repetir Console Table.